Falsely accused of his wife's murder, Vincent Parry (Humphrey Bogart) escapes from San Quentin to search for the real killer, in this adaptation of David Goodis's 1946 novel. A beautiful stranger (Lauren Bacall) is willing to do anything to help him, while a spiteful woman whom Parry spurned (Agnes Moorehead) toys with him as she decides whether to alert the police; meanwhile the killer is looking for Parry. Intriguingly, the first 40 minutes of the film are shown through Bogart's eyes, until he undergoes plastic surgery to complete his disguise. 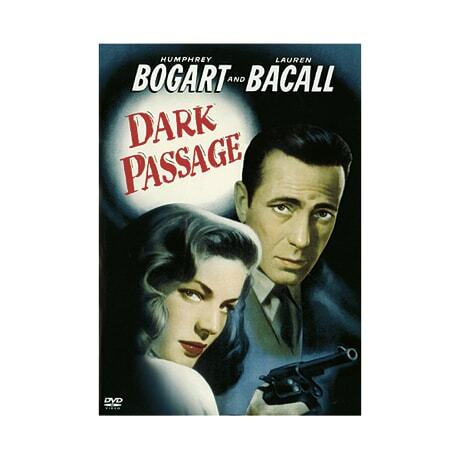 Benefitting from stunning San Francisco locations and the chemistry of Bogart and Bacall, this 1947 film noir is a classic of the genre. DVD extras include two making-of featurettes and the Bugs Bunny feature Slick Hare, which stars cartoon versions of Bogie, Bacall, and Sinatra.